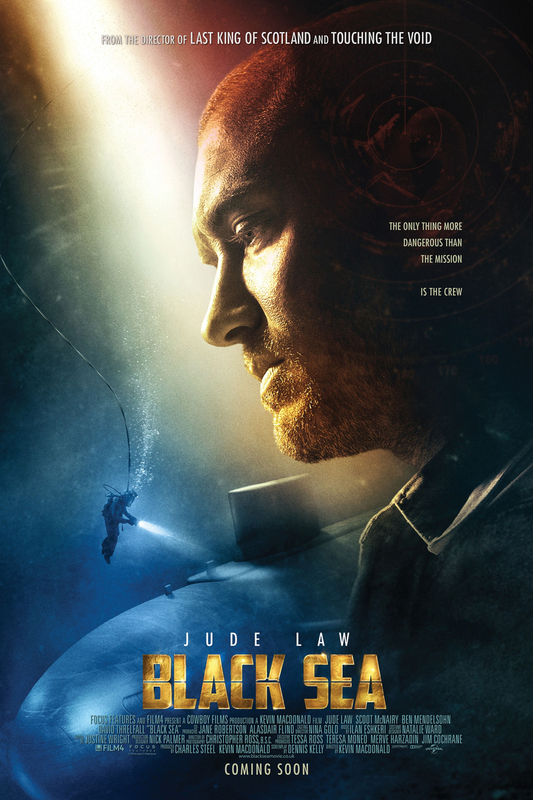 Black Sea DVD and Blu-ray release date was set for May 5, 2015. Concerned with paying debts owed to powerful men in his past, a submarine captain enters into a new deal with a mysterious financier. The arrangement brings the captain and his crew to the Black Sea, where hidden treasure awaits them in a sunken Nazi submarine buried deep in the seas's mysterious depths. However, not everything goes as planned. In the presence of Nazi treasure, the crew is quickly overtaken by greed and murderous desire. Everyone aboard must fight for their share of the treasure, as well as their lives.